I woke up a few weeks ago with a very painful cramp in my left hip. I could feel the knot down very deep. The pain was so bad, I could not sleep the rest of the night. I was limping the next morning and my husband was encouraging me to make a doctor's appointment. I called Joan and asked if she could take a look at my leg. I only told her it was my left leg and explained nothing more. Joan energetically "scanned" my leg, and told me there was a knot in my left hip. She began working on my hip and at first it was a little painful as I could feel the knot begin to dissipate. After a few minutes, Joan told me the knot was gone! I got up and walked around and ALL the pain was gone. I was not limping anymore! Thanks a million Joan! Traditionally, there are seven major chakras associated with the physical body. They are aligned with the spine and located in the base of the spine, the lower abdomen (sacral), the solar plexus, the heart, the throat, the center of the forehead (third eye), and the crown of the head. When our chakras are blocked, or not in balance, the free flow of energy is impeded, leading to physical, emotional, mental or spiritual dis-ease. When the chakras are unblocked and free-flowing, however, we enjoy optimum health. 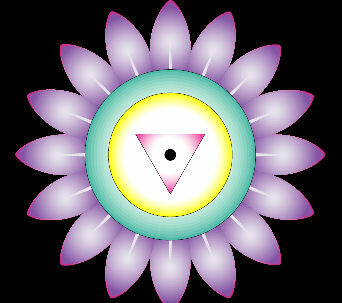 Each chakra is associated with specific colors and crystals and governs different aspects of human emotion and behavior. Using crystals with the chakras can have a great healing effect. Located at the base of the spine. Color is red (representing passion for life) or black (signifying stability or grounding). Base Chakra gemstones are mostly red and black, including: Fire Agate, Anyolite, Black Star, Bloodstone, Bronzite, Red Calcite, Carnelian, Red Coral, Garnet, Hematite, Brown Jasper, Red Jasper, Black Kyanite, Magnetite, Obsidian, Black Onyx, Ruby, Rutilated Quartz, Sardonyx, Black Sapphire, Smokey Quartz, Red Tiger Eye, Black Tourmaline and Zircon. Located at about three inches below the navel. Color is orange (representing creativity and wisdom). Sacral Chakra gemstones are mostly orange, including: Amber, Orange Aventurine, Bronzite, Orange Calcite, Carnelian, Chalcedony, Citrine, Orange Coral, Goldstone, Orange Jasper, Rutilated Quartz, Orange Sunstone, Tiger Eye and Topaz. Located just below the ribs. Color is yellow (representing analytical thought and intellectual activity). The solar plexus chakra is our emotional center. It aids in control of the “digestion of life”, thus the power and control over our lives. Solar Plexus Chakra gemstones are mostly yellow, including: Amber, Ametrine, Yellow Apatite, Aragonite, Golden Beryl, Citrine, Chalcedony, Yellow Jade, Yellow Jasper, Moonstone, Peridot, Yellow Prehnite, Rutilated Quartz, Yellow Sapphire, Smokey Quartz, Sunstone, Tiger Eye, Yellow Topaz and Yellow Tourmaline. Located at center of chest at the level of the heart. Color is green (representing healing and balance) or pink (signifying unconditional love and compassion). The heart chakra is about unconditional love, connection, acceptance, transformation and powerful healing. It is the center of compassion, love, group consciousness and spirituality associated with a “oneness” with “all that is”. It balances and bridges between the lower three chakras and the upper three chakras. Heart Chakra gemstones are mostly green and pink, including: Amazonite, Anyolite, Green Apatite, Green Aventurine, Green Calcite, Charoite, Chrysoprase, Emerald, Green Fluorite, Pink Fluorite, Garnet, Jade, Green Jasper, Kunzite, Malachite, Green Onyx, Peridot, Prehnite, Rhodochrosite, Pink Rhodonite, Rose Quartz, Ruby, Rutilated Quartz, Green Sapphire, Pink Sapphire, Seraphinite, Strawberry Quartz, Sugilite, Pink Tourmaline, Green Tourmaline, Watermelon Tourmaline, Turquoise and Unakite. Located at the throat. Color is blue (representing knowledge of, and oneness with, divine guidance). The throat chakra is our communication center, thus giving us our ability to verbally express ourselves and to be able to have open, clear communication of feelings and thoughts. Ability to release. It is the gateway to the Higher Consciousness and the gateway through which the emotions contained in the heart pass, to become balanced and harmonized. Throat Chakra gemstones are mostly blue, including: Amazonite, Amber, Angelite, Blue Apatite, Aquamarine, Azurite, Blue Lace Agate, Blue Calcite, Blue Chalcedony, Chrysocolla, Blue Fluorite, Blue Goldstone, Blue Kyanite, Lapis Lazuli, Malachite, Rutilated Quartz, Blue Sapphire, Sodalite, Blue Tiger Eye, Blue Topaz, Blue Tourmaline and Turquoise. Located between and approximately one finger space above the brow. Color is indigo (representing the search and attainment of spiritual purpose). The third eye chakra is involved with our intuition and our inner seeing, our higher consciousness, emotional and spiritual love center. Third Eye Chakra gemstones are mostly indigo, including: Amethyst, Angelite, Azurite, Blue Calcite, Charoite, Purple Fluorite, Iolite, Lapis Lazuli, Lepidolite, Moonstone, Pearl, Rutilated Quartz, Sapphire, Sodalite, Sugilite, Tanzanite, Blue Topaz, Tourmaline Quartz and Turquoise. Located at the crown of the head. 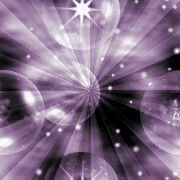 Color is violet (representing enlightenment) or white (signifying purity, perfection and bliss). The crown chakra is the center of an individual’s spirituality, enlightenment, dynamic thoughts and energy – our very essence. It allows for the inward flow of wisdom from the ethers and brings the gift of cosmic consciousness. When stimulated and clear, it enables one to see the truth concerning illusory ideals, materialistic pursuits and self-limiting concepts. It further allows one to experience continuous self-awareness and conscious detachment from personal emotions.